Well look no further than the Startup Demo Area at Latitude59 2018! We promise it will be bigger, bolder and better this year to give you the platform you need to show potential investors and customers what you’ve built. In short, why apply for our Startup Demo Area? You get to be in the spotlight in front of potential investors and customers! In 2017, we hosted top investors who gave keynotes, took part in discussions, shared tips + advice and more importantly, sought for future success stories to invest into. The investors we hosted include Atomico, Imprimatur Capital, Point Nine Capital, 3TS Capital Partners, Experior Venture, Fullerton Venture Partners, Spirit Ventures, Change Ventures, ETF Partners, Project A and Join Capital. 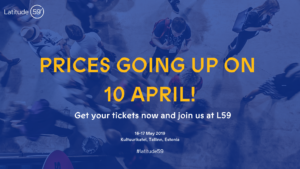 In addition to our world-class conference program that boasts excellent speakers, we’re expecting over 100 investors at Latitude59 2018. Who’s on the list? Here are a couple of names for you to check out: Fifty Years, Inventure, Superhero Capital, Nestholma, Karma VC, Practica Capital, Contriber Ventures, Nordea Finland, delegation from Nordic Business Angels Network and more. The startups that exhibited at our 2017 Demo Area as well as those that took part in our Pitching Competition had the opportunity to pitch their product on a silver platter. We’re definitely not lowering this bar anytime soon. Investors want to meet new startups and startups want to meet awesome investors. So let the startup-investor matchmaking begin. Being part of our Startup Demo Area means getting exclusive access to profiles of investors that are attending Latitude59 2018 via a closed online environment. This gives you the perfect opportunity to book meetings and socialise with investors you want to meet through our networking app. Be Directly in the Middle of All the Action! This year, our demo area will truly be bigger, bolder and better. Why? Because it will be located in the big Cauldron Hall of Kultuurikatel, which means you will be directly in the middle of all the action! It’s now up to you to create that amazing booth to wow attendees. 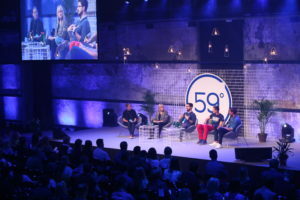 Being in the spotlight at the Latitude59 Startup Demo Area lets you reach and connect with an (utmost) important part of your business: your customers! You get to leverage on our savvy, tech-minded and trendsetting audience to gain first-hand research. Let them try your products, gain immediate and direct feedback from them and kick off discussions. Hear what your potential customers enjoy and what their pain-points are, bounce ideas off them and most of all, make a real connection with them in person. Being a part of our Demo Area is a great way to increase your brand and product awareness. 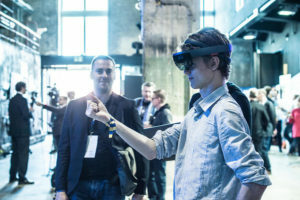 From pre-event coverage where we introduce all exhibiting startups in our digital media to content co-creation (if your idea is worth it, why not), there are lots of ways for you to use your presence at our Demo Area to your advantage. A big question to ask yourself right now: what are you going to do about on-site marketing? Executing a brilliant, clever display is sure to bring about the buzz that you want for your startup! 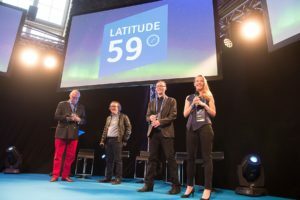 The Demo Area application round for Latitude59 2018 is open until we sell out the space. You can fill in an application form right here. *Prices for the demo booth do not include conference passes. We will give you a special promo code to get your conference tickets at €79 each. The offer is valid for up to 4 conference tickets. So what are you waiting for? Apply to be a part of our demo area now! Or if you have any questions, please do email us at info@latitude59.ee.